It’s been about a year now since American Airlines introduced their new livery, and it’s been controversial to say the least. So controversial, in fact, that American Airlines recently asked their employees if it should stay or go. The results of that poll were close, but long story short – this color scheme is here to stay. Personally, I really like this new design. It’s a modern take on an old classic, and I’m glad they took some risks to make a livery that stands out from the crowd. The tail art is busy but fresh, and it blends well with the new silver paint applied to the fuselage. The only issue I can see is that the new corporate logo they designed doesn’t seem to have any relationship to the tail art (at all). I don’t think that it necessarily has to, but a lot of people see that as a huge disconnect. 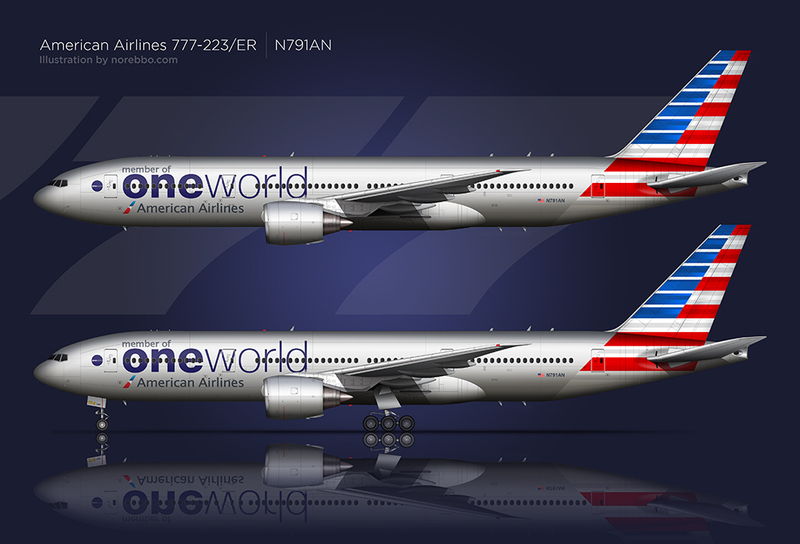 Anyway, I had fun creating these side-view illustrations of this One World livery Boeing 777-200/ER. 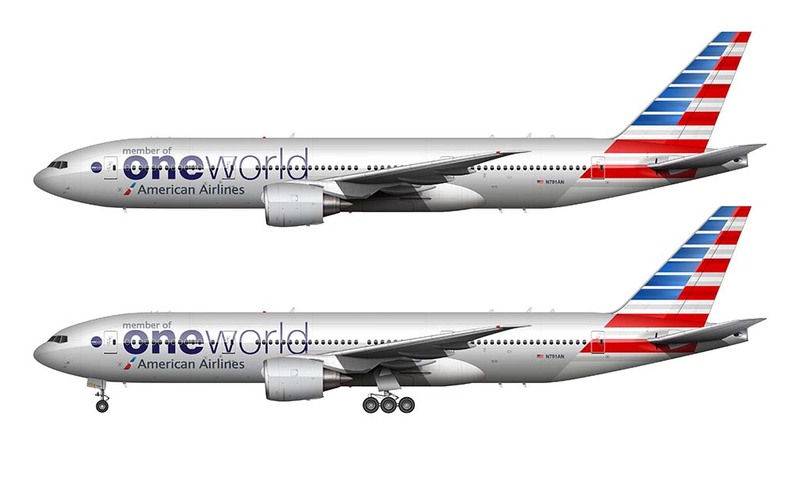 I chose to do the One World livery instead of the standard AA version, being that it’s slightly more interesting and rare. And now that I’ve spent some time working on it, I’ll go as far to say that it’s one of my favorite airline liveries now – even more so than the Sun Country 737-800 I just illustrated. I’m a fan.